It’s vital to have your customer journeys mapped out if you’re going to maximise every opportunity to increase your sales and profitability. Customer journey communications are critical in today’s marketing. A well-thought-out set of customer journey communications can maximise results at each stage – from building awareness, to making the sale and beyond – and generate huge increases in sales by delivering a more engaging, personalised experience. Not only do your customers benefit from having more relevant and timely information, but you can increase revenue by targeting tailored cross-sell and up-sell messages, getting the right message to the right person at the right time. By combining your understanding of your customers with marketing technology, you can now not only create an effective , profitable customer journey, but execute it seamlessly and with little effort. We’ve helped map powerful customer journeys for dozens of companies, transforming the ROI rom their marketing activity by making sure it’s focused in exactly the right areas. 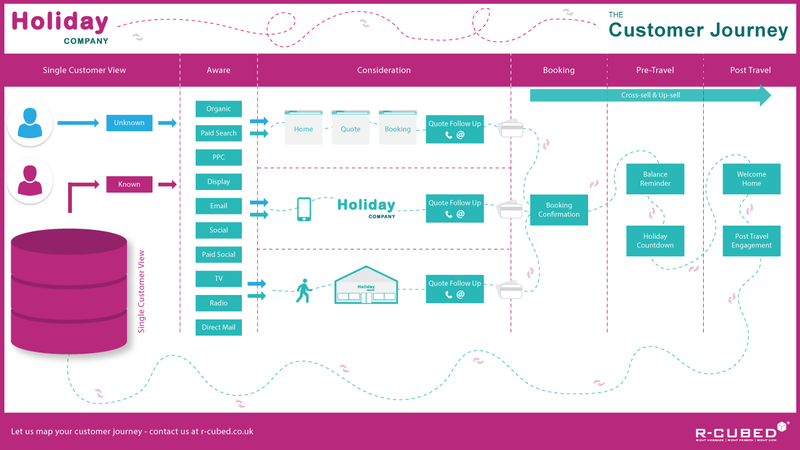 If you’d like some support in mapping out your customer journey and unearthing the opportunities, we’d love to help. To talk to one of our experts and see what they could do for you, just get in touch. For more Customer Journey related articles, click here.